Pioneer may launch a range of LCD TVs this year, in order to complement its highly successful Kuro plasma range. 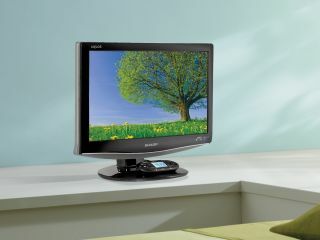 The sets - sized at 32-inches or below - are likely to be made by Pioneer partner Sharp initially. Sharp bought a 14.28 per cent stake in Pioneer last year. Pioneer UK product manager Jim Catcheside also told us that both company's display expertise could yield considerable benefits in future, especially when it comes to new TV technologies. "I certainly hope that there will be more collaboration on technology in the future. And then thinking commercially, Sharp has got fantastic market share in Japan. It is the market leader in Japan with the Aquos range," said Jim Catcheside in an interview. "There are dealers out there who would love to sell a 32-inch Pioneer branded screen, whether it was made by us, Sharp or anyone else for that matter. They get a customer who wants to buy a Pioneer-branded product because he owns a Pioneer Blu-ray player, an amp and all the other bits that go with it." "What are they working on? I can't comment on that. OLED? Organic electro-luminescent display? Pioneer has thousands of patents, Sharp has thousands of patents. Now I'm sure - and I think that's more likely than any collaborative involvement in LCD or plasma - that's the future of whatever it might be."